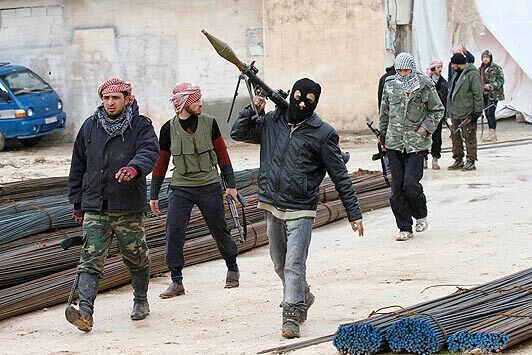 BEIRUT – A group tracking the Syrian war said on Saturday that Islamist insurgents shot dead 56 members of Syrian government forces in a mass execution at an air base captured from the army earlier this month in northwestern Syria. The Syrian Observatory for Human Rights said the mass killing at Abu al-Duhur air base happened a few days ago, citing sources on the ground. The air base in Idlib province was captured by an alliance of groups including the al Qaeda-linked Nusra Front on Sept. 9. “We confirmed it yesterday in the evening, via people who witnessed it, and via some pictures that arrived – the execution happened,” Rami Abdulrahman, director of the Observatory, said, speaking by telephone. The Observatory said the executions were carried out by the Nusra Front, the Turkistan Islamic Party, and other Islamist groups. The Turkistan Islamic Party is one of the groups fighting in northwestern Syria, where it has claimed a role in several major insurgent advances this year. When the air base fell to insurgents, Syrian state TV said the forces defending it had withdrawn after a two-year siege. It was the last position held by the Syrian military in Idlib province.